Milwaukee, WI — The national law firm of Quarles & Brady LLP today announced that Michael Levey, a partner in the firm's Health & Life Sciences Practice Group, has been elected to be President of the Wisconsin Equal Justice Fund (WEJF) in 2019. The WEJF is the only private fundraising effort supporting three of Wisconsin’s largest pro bono civil legal services programs: Disability Rights Wisconsin, Legal Action of Wisconsin, and Wisconsin Judicare. Since its inception in 1997, WEJF has raised almost $5 million for Wisconsin legal services. 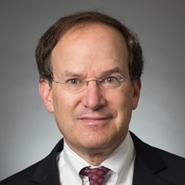 Levey serves as the firm's national pro bono partner and focuses his practice on the full business lifecycle of physicians’ and dentists’ practices, with broad experience in matters critical to the health care industry. He represents individual physicians and dentists, medical and dental practice groups, and other privately held and nonprofit businesses that operate in the health care industry. He received his law degree from the University of Michigan Law School. Levey was previously President-Elect and Secretary of the WEJF.